CHEVY CHASE, Md., August 23, 2018 – The 9th Annual Billington CyberSecurity Summit is expected to attract over 1000 attendees at the leading cybersecurity summit in the nation's capital. With powerhouse keynotes from the military, Federal agencies, and industry, the event will attract senior level decision-makers to tackle the tough issues of cybersecurity – and will examine where we are next headed. 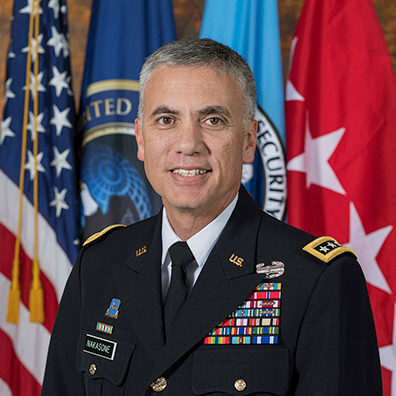 Gen. Paul Nakasone will deliver one of his first keynotes about cybersecurity in his dual-hatted role as Commander, U.S. Cyber Command and Director, NSA. Jeremy Fleming, Director, GCHQ will also deliver a keynote about GCHQ cyber priorities. Hear four cyber commanders speak about “Cyber Strategies of the Services.” With 133 cyber mission force teams including 6,200 service members in place and given its elevation to its own Unified Combatant Command, CYBERCOM now faces its future. Hear top cyber commanders of the services address critical questions regarding its future such as: What are the operational strategies and priorities of key cyber service commanders; how can industry best partner to help the services manage a complex threat environment; how do commanders organize, equip and retain the best cyber talent; how is cyber readiness and enhanced situational awareness enabled. RDML David Dermanelian, Assistant Commandant for C4IT (CG-6); Commander, Coast Guard Cyber Command, U.S. Coast Guard Lt.
“We are honored to feature over 50 cyber leaders at what has become the leading cyber summit in the nation's capital,” said summit chair Tom Billington, CEO of Billington CyberSecurity. Cybersecurity of the Supply Chain–Is This the Elephant in the Room? The one-day Summit offers attendees and press a deep dive into the current state of cybersecurity and perspectives on the next challenges and opportunities during this unprecedented time of cyber upheaval. Sponsor opportunities are available. Please contact Peggy Holland at 301-641-4150 or email Tom Billington at [email protected].